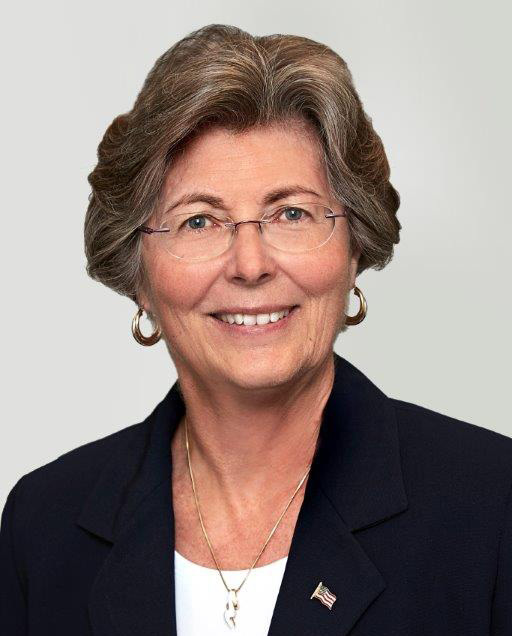 Judge Sue L. Robinson served on the U.S. District Court for the District of Delaware from November 15, 1991 to July 14, 2017. She served as Chief Judge from 2000 to 2007 and retired from active service in 2017. She presided over a large number of complex cases during her tenure on the bench. She had many patent disputes, including the billion-dollar stent litigation, as well as a number of trademark infringement and antitrust cases. She currently is a consultant in complex commercial litigations, mock trials and arguments, alternative dispute resolution, and arbitration. Judge Robinson was a member of Delaware’s district court for more than 25 years. Her public service has been recognized by such organizations as the Philadelphia Intellectual Property Law Association, the New Jersey Intellectual Property Law Association, the New York Intellectual Property Law Association, and the Intellectual Property Owners Education Foundation. During her tenure, she served as the first woman Chief Judge for the District of Delaware, and was selected to serve on the Judicial Conference of the United States. She was elected a member of the American Law Institute in 2015. Prior to her appointment to the bench, Judge Robinson served as an Assistant United States Attorney and as United States Magistrate Judge for the District of Delaware. U.S. v. Energy Solutions, Inc., 265 F. Supp. 3d 415 (D. Del. 2017) (whether proposed merger of providers of low-level radioactive waste disposal services violated Clayton Act). ZF Meritor LLC v. Eaton Corp., 769 F. Supp. 2d 684 (D. Del. 2011), aff’d in part, rev’d in part, vacated in part, remanded, 696 F.3d 254 (3d Cir. 2012) (whether manufacturer of heavy duty commercial truck transmissions engaged in anticompetitive conduct through exclusive dealing arrangements). Howard Hess Dental Laboratories Inc. v. Dentsply Int’l, Inc., 516 F. Supp. 2d 324 (D. Del. 2007), aff’d, 602 F.3d 237 (3d Cir. 2010) (whether dental laboratories adequately alleged elements of Illinois Brick coconspirator exception). In re: New Century TRS Holdings, Inc., 407 B.R. 576 (D. Del. 2009) (whether Chapter 11 plan unfairly discriminated in favor of certain creditors and effected an improper “substantive consideration” of debtors). In re: TransWorld Airlines, Inc., 2002 WL 500569 (D. Del. Mar. 26, 2002) (whether appeals were equitably moot). In re: PWS Holding Corp., 1999 WL 33510165 (D. Del. Dec. 30, 1999), aff’d, 228 F.3d 224 (3d Cir. 2000) (Chapter 11 plan confirmation). Roquette Frẻres, S.A. v. Solazyme, Inc., 154 F. Supp. 3d 68 (D. Del. 2015), aff’d, 673 Fed.Appx. 219 (3d Cir. 2016) (whether arbitration award in IP dispute following dissolution of a joint venture should be confirmed). Monsanto Co. v. Aventis Cropscience S.A., 226 F. Supp. 2d 531 (D. Del. 2002) (scope of license to practice patents related to genetically engineered crops). Morris James LLP v. Continental Cas. Co., 928 F. Supp. 2d 816 (D. Del. 2013) (insurance claim relating to counterfeit check). Astrazeneca AB v. Dr. Reddy’s Laboratories, Inc., 145 F. Supp. 3d 311 (D. Del. 2015) (trademark infringement case relating to brand manufacturer’s purple pill design and competing generic’s pill design). Carnivale v. Staub Design LLC, 2013 WL 10905126 (D. Del. Jan. 7, 2013), aff’d, 547 Fed. Appx. 114 (3d Cir. 2013) (whether use of domain name violated Anticybersquatting Consumer Protection Act). Pernod Ricard USA LLC v. Bacardi U.S.A., Inc., 702 F. Supp. 2d 238 (D. Del. 2010), aff’d, 653 F.3d 241 (3d Cir. 2011) (whether defendant violated Lanham Act through statements regarding geographic origin of its “Havana Club” brand rum). In re: Google Inc. Cookie Placement Consumer Privacy Litigation, 988 F. Supp. 2d 434 (D. Del. 2013), aff’d in part, vacated in part, remanded, 806 F.3d 125 (3d Cir. 2015) (whether plaintiffs stated claims under, inter alia, Electronic Communications Privacy Act and Computer Fraud and Abuse Act). Automatic Transactions LLC v. IYG Holding Co., 768 F. Supp. 2d 727 (D. Del. 2011), aff’d, In re: Transaction Holdings Ltd. LLC, 484 Fed.Appx. 469 (Fed. Cir. 2012) (questions of infringement and invalidity of patents directed to systems and methods of enabling user to complete retail transactions over internet). In re: Cyclobenzaprine Hydrochloride Extended-Release Capsule Patent Litigation, 794 F. Supp. 2d 517 (D. Del. 2011), aff’d in part, rev’d in part, vacated in part, and dismissed in part, 676 F.3d 1063 (Fed. Cir. 2012) (questions of infringement and invalidity of patents covering modified release dosage form of skeletal muscle relaxants). Arcelor Mittal France v. AK Steel Corp., 147 F. Supp. 3d 232 (D. Del. 2015), aff’d, 856 F.3d 1365 (Fed. Cir. 2017) (questions of infringement and invalidity of reissue patent covering boron steel sheets with aluminum-based coating applied after rolling). CyberFone Systems, LLC v. Cellco Partnership, 885 F. Supp. 2d 710 (D. Del. 2012), aff’d, 558 Fed.Appx. 988 (Fed. Cir. 2014) (whether claims relating to telephone/transaction entry device and system for entering data constitute eligible subject matter). Medtronic, Inc. v. Mirowski Family Ventures, 777 F. Supp. 2d 750 (D. Del. 2011), aff’d, 134 S. Ct. 843 (2014) (after being reversed by Federal Circuit) (whether a licensee – who seeks a declaratory judgment against a patentee that its products do not infringe the licensed patent – bears the burden of persuasion on the issue of infringement). Monsanto Co. v. Syngenta Seeds, Inc., 431 F. Supp. 2d 482 (D. Del. 2006), aff’d, 503 F.3d 1352 (Fed. Cir. 2007) (patents for genetically modified corn not infringed; claims directed to chimeric gene invalid for lack of enablement). Stent litigation, a series of lawsuits commencing in 1998 and culminating in a $1,725,000,000 consent judgment entered in Cordis Corporation v. Boston Scientific Corporation and Scimed Life Systems, Inc., Civ. No. 03-027-SLR (D. Del. 2010). Merck Sharp & Dohme Corp. v. Amneal Pharmaceuticals LLC, 235 F. Supp. 3d 625 (D. Del. 2017), aff’d, 881 F.3d 1376 (Fed. Cir. 2018) (infringement by generic of patent directed to mometasme furoate nasal spray at issue). Senju Pharmaceutical Co., Ltd. v. Apotex Inc., 891 F. Supp. 2d 656 (D. Del. 2012), aff’d, 746 F.3d 1344 (Fed. Cir. 2014) (whether claim preclusion barred infringement action of patent directed to aqueous liquid pharmaceutical compositions comprising gatifloxacin and disodium edetate). In re: ‘318 Patent Infringement Litigation, 578 F. Supp. 2d 711 (D. Del. 2008), aff’d, 583 F.3d 1317 (Fed. Cir. 2007) (question of validity of patent claiming method for treating Alzheimer’s disease with galanthamine). In re Fisker Automotive Holdings, Inc. Shareholder Litigation, 128 F. Supp. 3d 814 (D. Del. 2015) (investors’ securities fraud action not dismissed for failure to state a claim under the Securities Act/Securities Exchange Act). In re Wilmington Trust Securities Litigation, 29 F. Supp. 3d 432 (D. Del. 2014) (investors’ securities fraud class actions not dismissed for failure to state a claim under the Securities Act/Securities Exchange Act).